Charles Spencer Chaplin was born in London, England, on April 16th, 1889. His father was a versatile vocalist and actor; and his mother, known under the stage name of Lily Harley, was an attractive actress and singer, who gained a reputation for her work in the light opera field. Charlie was thrown on his own resources before he reached the age of ten as the early death of his father and the subsequent illness of his mother made it necessary for Charlie and his brother, Sydney, to fend for themselves. Having inherited natural talents from their parents, the youngsters took to the stage as the best opportunity for a career. Charlie made his professional debut as a member of a juvenile group called “The Eight Lancashire Lads” and rapidly won popular favour as an outstanding tap dancer. When he was about twelve, he got his first chance to act in a legitimate stage show, and appeared as “Billy” the page boy, in support of first H. A. Saintsbury and then William Gillette in different productions of “Sherlock Holmes”. 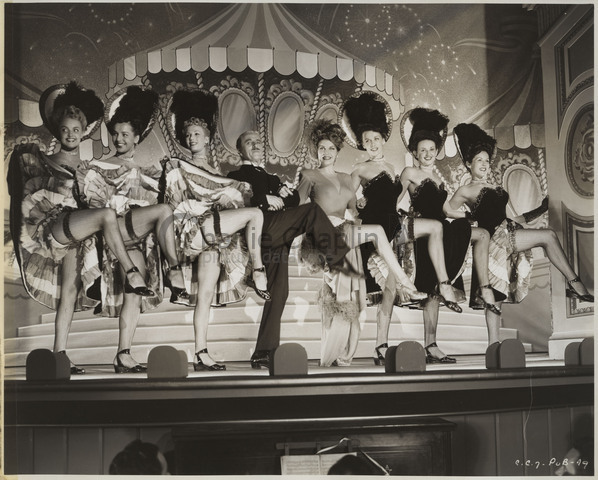 At the close of this engagement, Charlie started a career as a comedian in vaudeville, which eventually took him to the United States in 1910 as a featured player with the Fred Karno Repertoire Company. He scored an immediate hit with American audiences, particularly with his characterization in a sketch entitled “A Night in an English Music Hall”. 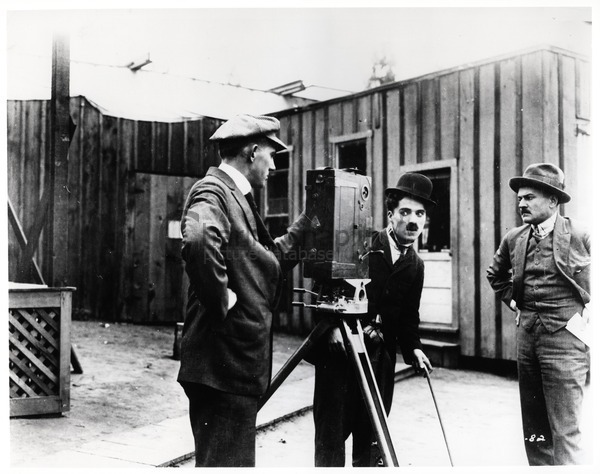 When the Fred Karno troupe returned to the United States in the fall of 1912 for a repeat tour, Chaplin was offered a motion picture contract. He finally agreed to appear before the cameras at the expiration of his vaudeville commitments in November 1913; and his entrance in the cinema world took place that month when he joined Mack Sennett and the Keystone Film Company. His initial salary was $150 a week, but his overnight success on the screen spurred other producers to start negotiations for his services. At the completion of his Sennett contract, Chaplin moved on to the Essanay Company (1915) at a large increase. 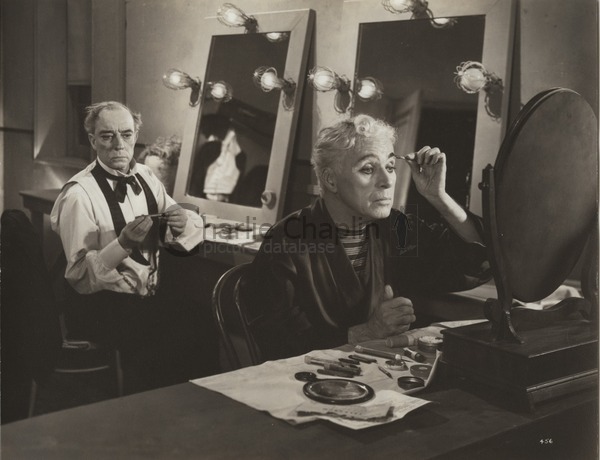 Sydney Chaplin had then arrived from England, and took his brother’s place with Keystone as their leading comedian. The following year Charlie was even more in demand and signed with the Mutual Film Corporation for a much larger sum to make 12 two-reel comedies. These include “The Floorwalker”, “The Fireman”, “The Vagabond”, “One A.M.” (a production in which he was the only character for the entire two reels with the exception of the entrance of a cab driver in the opening scene), “The Count”, “The Pawnshop”, “Behind the Screen”, “The Rink”, “Easy Street” (heralded as his greatest production up to that time), “The Cure”, “The Immigrant” and “The Adventurer”. 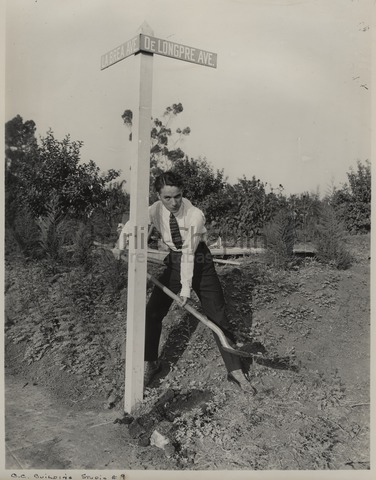 When his contract with Mutual expired in 1917, Chaplin decided to become an independent producer in a desire for more freedom and greater leisure in making his movies. To that end, he busied himself with the construction of his own studios. This plant was situated in the heart of the residential section of Hollywood at La Brea Avenue. 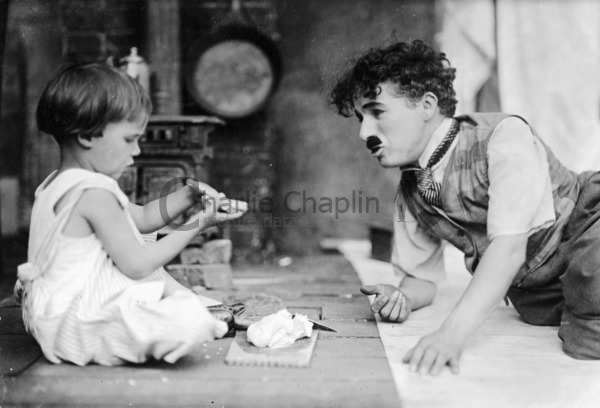 Early in 1918, Chaplin entered into an agreement with First National Exhibitors’ Circuit, a new organization specially formed to exploit his pictures. His first film under this new deal was “A Dog’s Life”. After this production, he turned his attention to a national tour on behalf of the war effort, following which he made a film the US government used to popularize the Liberty Loan drive: “The Bond”. His next commercial venture was the production of a comedy dealing with the war. “Shoulder Arms”, released in 1918 at a most opportune time, proved a veritable mirthquake at the box office and added enormously to Chaplin’s popularity. However, before he could assume his responsibilities with United Artists, Chaplin had to complete his contract with First National. So early in 1921, he came out with a six-reel masterpiece: The Kid, in which he introduced to the screen one of the greatest child actors the world has ever known - Jackie Coogan. Later in 1921, he released “The Idle Class”, in which he portrayed a dual character. 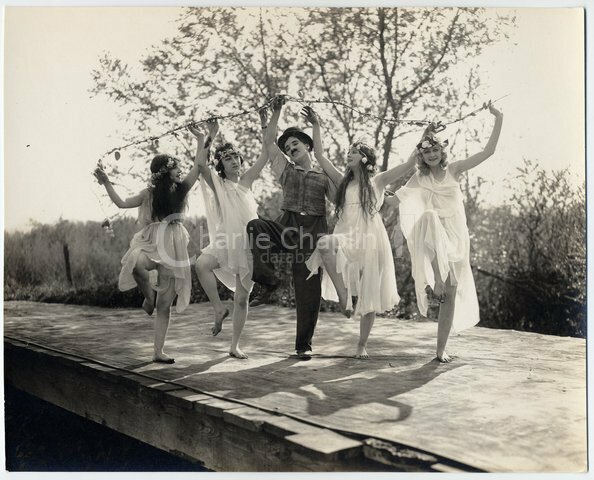 Then, feeling the need for a complete rest from his motion picture activities, Chaplin sailed for Europe in September 1921. London, Paris, Berlin and other capitals on the continent gave him tumultuous receptions. A Woman of Paris was a courageous step in the career of Charles Chaplin. After seventy films in which he himself had appeared in every scene, he now directed a picture in which he merely walked on for a few seconds as an unbilled and unrecognisable extra – a porter at a railroad station. Until this time, every film had been a comedy. A Woman of Paris was a romantic drama. This was not a sudden impulse. 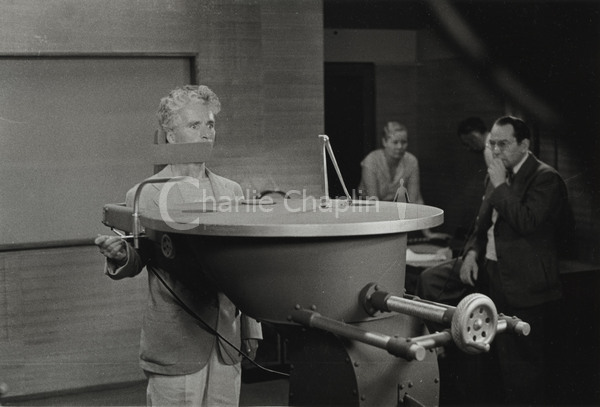 For a long time Chaplin had wanted to try his hand at directing a serious film. Chaplin generally strove to separate his work from his private life; but in this case the two became inextricably and painfully mixed. Searching for a new leading lady, he rediscovered Lillita MacMurray, whom he had employed, as a pretty 12-year-old, in The Kid. Still not yet sixteen, Lillita was put under contract and re-named Lita Grey. Chaplin quickly embarked on a clandestine affair with her; and when the film was six months into shooting, Lita discovered she was pregnant. Chaplin found himself forced into a marriage which brought misery to both partners, though it produced two sons, Charles Jr and Sydney Chaplin. The Circus won Charles Chaplin his first Academy Award – it was still not yet called the ‘Oscar’ – he was given it at the first presentations ceremony, in 1929. But as late as 1964, it seemed, this was a film he preferred to forget. The reason was not the film itself, but the deeply fraught circumstances surrounding its making. 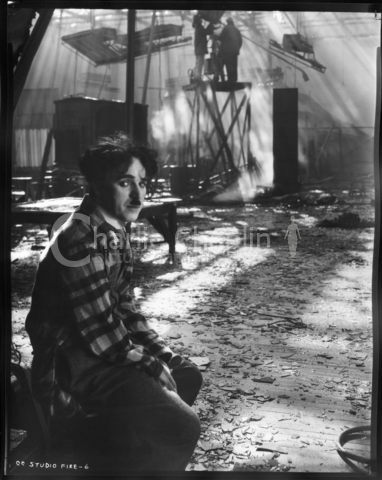 Chaplin on the set of The Circus after a fire raged through the studio during the ninth month of shooting, destroying sets and props. Chaplin was in the throes of the break-up of his marriage with Lita Grey; and production of The Circus coincided with one of the most unseemly and sensational divorces of twenties Hollywood, as Lita’s lawyers sought every means to ruin Chaplin’s career by smearing his reputation. As if his domestic troubles were not enough, the film seemed fated to catastrophe of every kind. In the late 1960s, after the years spent trying to forget it, Chaplin returned to The Circus to re-release it with a new musical score of his own composition. It seemed to symbolize his reconciliation to the film which cost him so much stress. City Lights proved to be the hardest and longest undertaking of Chaplin’s career. By the time it was completed he had spent two years and eight months on the work, with almost 190 days of actual shooting. The marvel is that the finished film betrays nothing of this effort and anxiety. Even before he began City Lights, the sound film was firmly established. This new revolution was a bigger challenge to Chaplin than to other silent stars. His Tramp character was universal. His mime was understood in every part of the world. But if the Tramp now began to speak in English, that world-wide audience would instantly shrink. Chaplin boldly solved the problem by ignoring speech, and making City Lights in the way he had always worked before, as a silent film. However he astounded the press and the public by composing the entire score for City Lights. The premieres were among the most brilliant the cinema had ever seen. 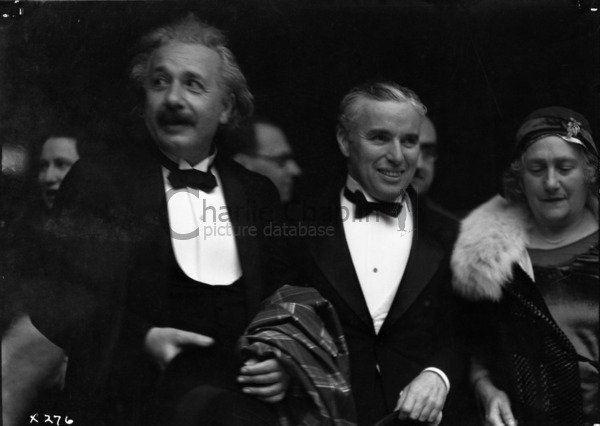 In Los Angeles, Chaplin’s guest was Albert Einstein; while in London Bernard Shaw sat beside him. City Lights was a critical triumph. All Chaplin’s struggles and anxieties, it seemed, were compensated by the film which still appears as the zenith of his achievement and reputation. Chaplin was acutely preoccupied with the social and economic problems of this new age. In 1931 and 1932 he had left Hollywood behind, to embark on an 18-month world tour. In Europe, he had been disturbed to see the rise of nationalism and the social effects of the Depression, of unemployment and of automation. He read books on economic theory; and devised his own Economic Solution, an intelligent exercise in utopian idealism, based on a more equitable distribution not just of wealth but of work. In 1931 he told a newspaper interviewer, “Unemployment is the vital question . . . Machinery should benefit mankind. It should not spell tragedy and throw it out of work”. In Modern Times Chaplin set out to transform his observations and anxieties into comedy. The little Tramp - described in the film credits as “a Factory Worker”- is now one of the millions coping with the problems of the 1930s, which are not so very different from anxieties of the 21st century - poverty, unemployment, strikes and strike breakers, political intolerance, economic inequalities, the tyranny of the machine, narcotics. When writing The Great Dictator in 1939, Chaplin was as famous worldwide as Hitler, and his Tramp character wore the same moustache. He decided to pit his celebrity and humour against the dictator’s own celebrity and evil. He benefited – if that is the right word for it, given the times – from his “reputation” as a Jew, which he was not – (he said “I do not have that pleasure”). In the film Chaplin plays a dual role –a Jewish barber who lost his memory in a plane accident in the first war, and spent years in hospital before being discharged into an antisemite country that he does not understand, and Hynkel, the dictator leader of Tomania, whose armies are the forces of the Double Cross, and who will do anything along those lines to increase his possibilities for becoming emperor of the world. 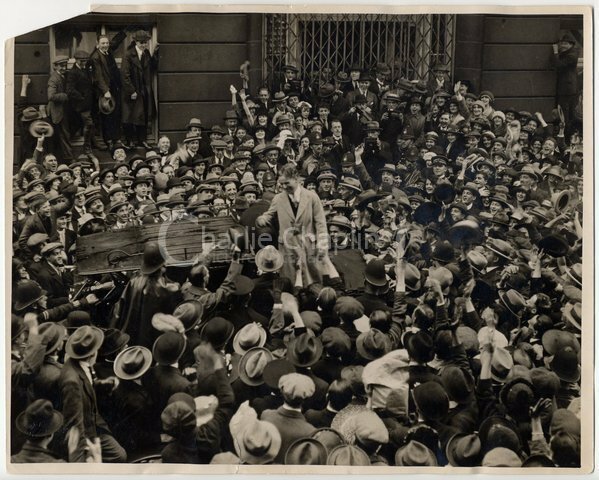 Chaplin’s aim is obvious, and the film ends with a now famous and humanitarian speech made by the barber, speaking Chaplin’s own words. The idea was originally suggested by Orson Welles, as a project for a dramatised documentary on the career of the legendary French murder Henri Désiré Landru – who was executed in 1922, having murdered at least ten women, two dogs and one boy. Chaplin was so intrigued by the idea that he paid Welles $5000 for it. 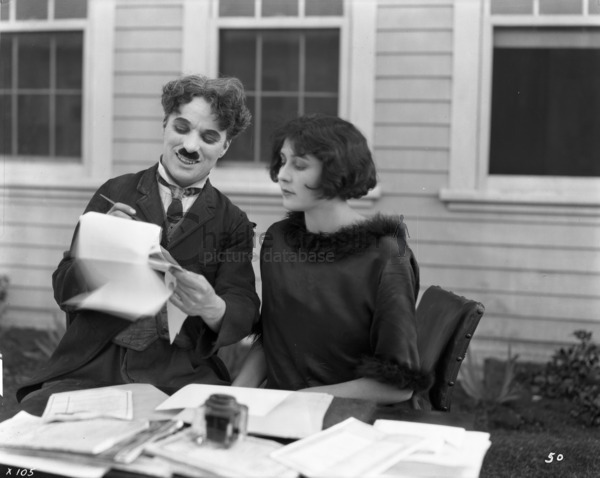 The agreement was signed in 1941, but Chaplin took four more years to complete the script. In the meantime the irritating distractions of a much-publicised and ugly paternity suit had been compensated by his brilliantly successful marriage to Oona O’Neill. In the late 1940s, America¹s Cold War paranoia reached its peak, and Chaplin, as a foreigner with liberal and humanist sympathies, was a prime target for political witch-hunters. This was the start of Chaplin’s last and unhappiest period in the United States, which he was definitively to leave in 1952. Not surprisingly, then, in choosing his next subject he deliberately sought escape from disagreeable contemporary reality. He found it in bitter-sweet nostalgia for the world of his youth – the world of the London music halls at the opening of the 20th century, where he had first discovered his genius as an entertainer. With this strong underlay of nostalgia, Chaplin was at pains to evoke as accurately as possible the London he remembered from half a century before and it is clear from the preparatory notes for the film that the character of Calvero had a very similar childhood to Chaplin’s own. Limelight’s story of a once famous music hall artist whom nobody finds amusing any longer may well have been similarly autobiographical as a sort of nightmare scenario. 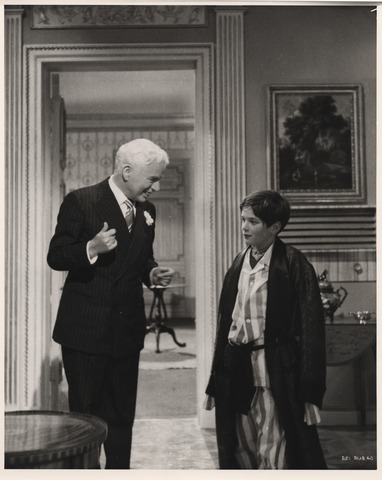 Chaplin’s son Sydney plays the young, talented pianist who vies with Calvero for the young ballerina’s heart, and several other Chaplin family members participated in the film. 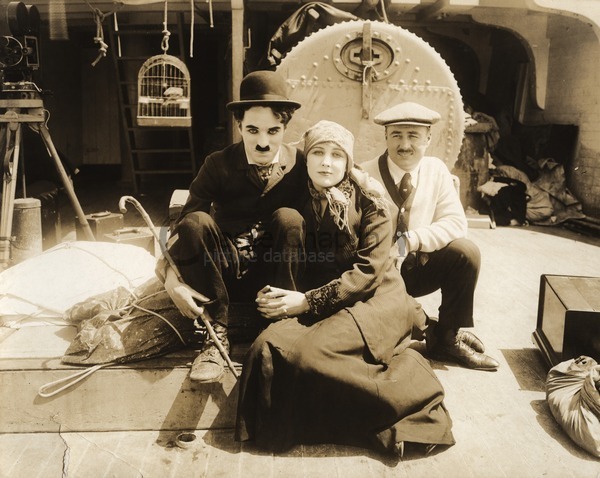 It was when on the boat travelling with his family to the London premiere of Limelight that Chaplin learned that his re-entry pass to the United States had been rescinded based on allegations regarding his morals and politics. 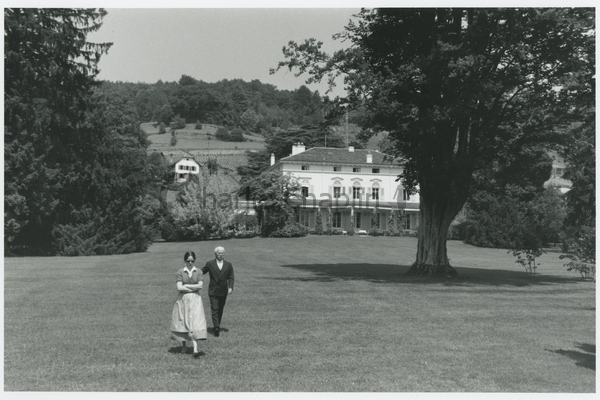 Chaplin therefore remained in Europe, and settled with his family at the Manoir de Ban in Corsier sur Vevey, Switzerland, with view of lake and mountains. What a difference from California. He and Oona went on to have four more children, making a total of eight. 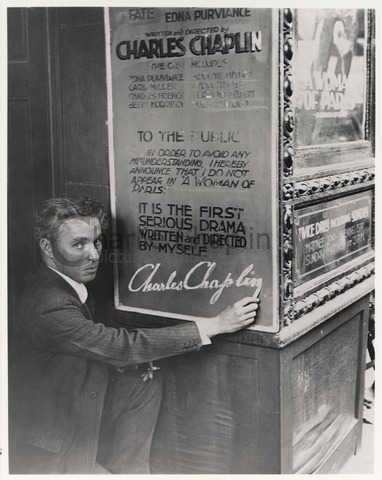 With A King in New York Charles Chaplin was the first film-maker to dare to expose, through satire and ridicule, the paranoia and political intolerance which overtook the United States in the Cold War years of the 1940s and 50s. Chaplin himself had bitter personal experience of the American malaise of that time. To take up film making again, as an exile, was a challenging undertaking. He was now nearing 70. For almost forty years he had enjoyed the luxury of his own studio and a staff of regular employees, who understood his way of work. Now though he had to work with strangers, in costly and unfriendly rented studios. The film shows the strain. 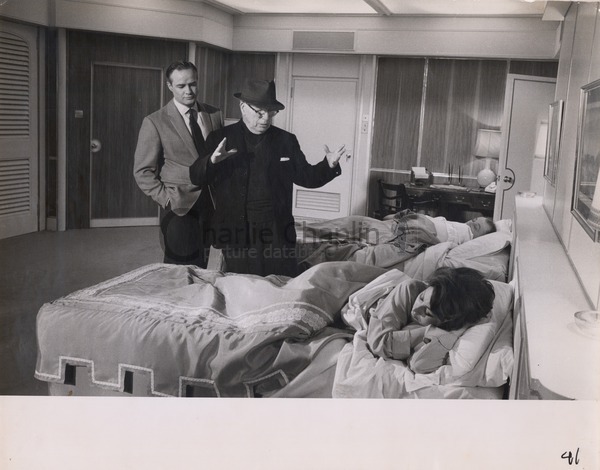 In 1966 he produced his last picture, “A Countess from Hong Kong” for Universal Pictures, his only film in colour, starring Sophia Loren and Marlon Brando. The film started as a project called Stowaway in the 1930s, planned for Paulette Goddard. 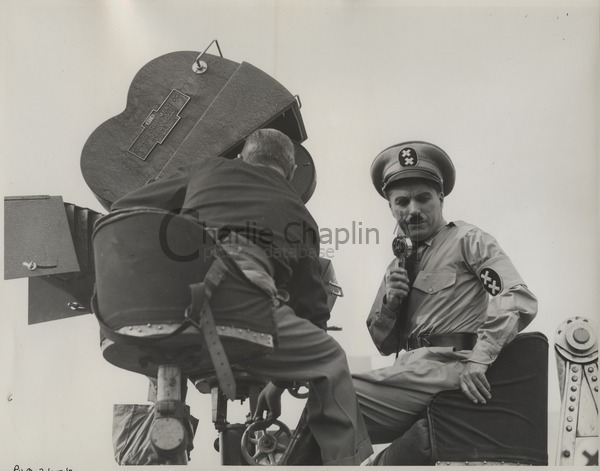 Chaplin appears briefly as a ship steward, Chaplin’s son Sydney once again has an important role, and three of Chaplin’s daughters have small parts in the film. The film was unsuccessful at the box office, but Petula Clark had one or two hit records with songs from the soundtrack music and the music continues to be very popular. Chaplin’s versatility extended to writing, music and sports. He was the author of at least four books, “My Trip Abroad”, “A Comedian Sees the World”, “My Autobiography”, “My Life in Pictures” as well as all of his scripts. An accomplished musician, though self-taught, he played a variety of instruments with equal skill and facility (playing violin and cello left-handed). He was also a composer, having written and published many songs, among them: “Sing a Song”; “With You Dear in Bombay”; and “There’s Always One You Can’t Forget”, “Smile”, “Eternally”, “You are My Song”, as well as the soundtracks for all his films. Charles Chaplin was one of the rare comedians who not only financed and produced all his films (with the exception of “A Countess from Hong Kong”), but was the author, actor, director and soundtrack composer of them as well. Hannah was a singer and character comedienne in the British music halls with the stage name of Lily Harley, and she did enjoy some success. Sadly her career was plagued on and off by ill health, and it was when her voice failed during a performance.